The Washington Nationals announced Thursday that they have exercised outfielder Denard Span's $9 million option for next season and declined the respective options on first baseman Adam LaRoche and closer Rafael Soriano. Span's 184 hits this season were a franchise record and tied for the most in the majors. He scored 94 runs and stole a career-high 31 bases. "Denard was arguably our most consistent offensive player in 2014, keying so much of our offensive production, and his defense in center field is Gold Glove-caliber on a nightly basis," GM Mike Rizzo said in a statement. "We're excited to keep him in the fold for the 2015 season." Meanwhile, LaRoche and Soriano will become free agents. 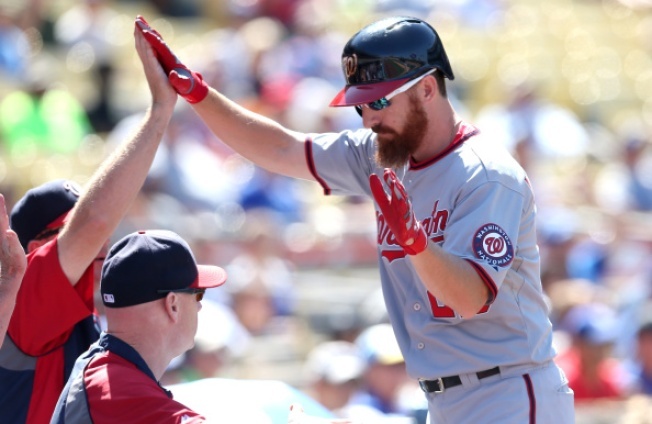 LaRoche's place at first base will likely belong to Ryan Zimmermann next season. Soriano lost his role as closer late in the season after a horrendous second half.